Uwell is best known for their Uwell Crown Sub Ohm Tank, which was a tank that many vapers loved due to its excellent flavor, top fill design, solid coil heads and just great performance. Uwell has released a few more atomizers after including the Crown 2, but now they have released their newest tank, the Uwell SE-1. Taking design cues from some of the previous tanks, and putting them together to make a brand new tank. Firstly, I would like to thank Uwell for sending us this product for the purposes of this review. I will go over my first impressions, performance, pros and cons, and conclude with whether or not I recommend this atomizer! Check out the Uwell SE-1 Here! Click Here to Check Out the Uwell SE-1! Upon receiving this product, I first noticed the familiar packaging from Uwell. However, the Uwell SE-1 comes in a much smaller tube case. The packaging does feel sturdy, and it is slightly translucent. The tank itself is just about as tall as the packaging itself, so it won’t move around much during transit, which is a good thing. The Uwell SE-1 Sub Ohm Tank is available in three different colors which are stainless steel, black and matte black. This is a huge pro, as having color options is always a good thing. The color that stood out to me the most was the matte black. The matte black color just simply looks great. The other black color is more shiny, which is nice as well, but there was just something about the matte black that drew me towards. 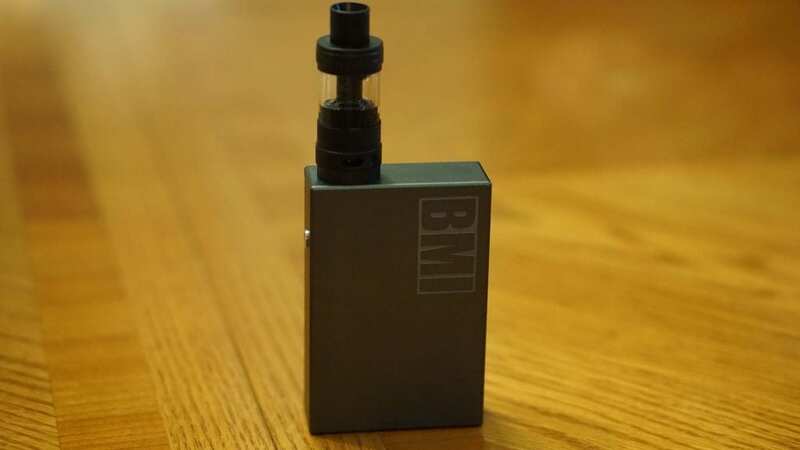 I know for sure many vapers will love the matte black finish. Inside of the packaging, you do receive the tank itself with a pre-installed 0.25 ohm coil head, spare o-rings and a user manual. The Uwell SE-1 utilizes the new Uwell Crown 2 coil heads. I know there were quite a few revisions done with these coil heads, but that’s something I will get more into later on in this review. What I first noticed about the tank itself was that it is quite large. This is definitely one of the more taller tanks I currently own. The overall diameter of the Uwell SE-1 is 24mm, which is great since it’ll look good on most box mods, and it allows for more e-liquid capacity. 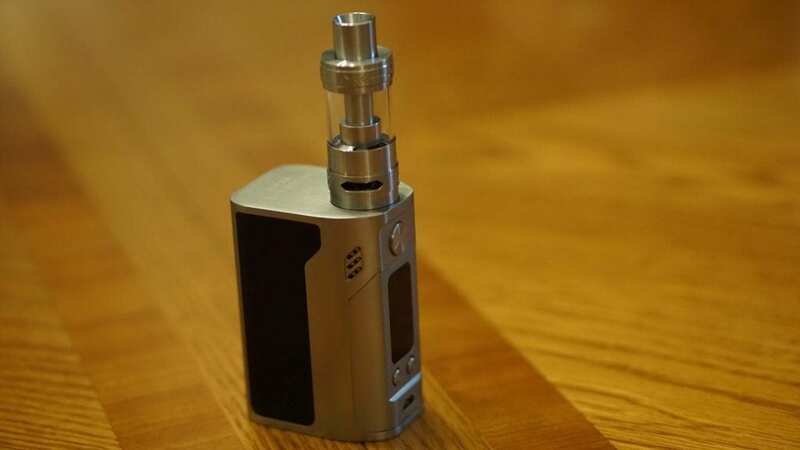 Speaking about e-liquid capacity, this tank has a large 5ml e-liquid capacity, and it can be filled from either the top or the bottom. Honestly, I’m not sure who would even use the bottom fill method, when top fill is available. The build quality of the Uwell SE-1 is also top notch. All of the threads were clean and smooth. This is definitely a pro to this tank. Something else I noticed about this tank was the similarities to the Uwell Crown 2 and the Uwell Rafale sub ohm tank. If you’re a fan of the design of either tank, then you’ll certainly love this tank as it takes the best from both of them, and brings them into one. I do want to mention that this tank does not have the tank locking screw like the Crown 2, which to me is a good thing in my opinion. Some vapers may like that feature, but with this specific tank, I don’t think it would need it. I will get more in this later on into the review. A huge pro to be mentioned right away is that this tank is compatible with 510 drip tips, and it does include a wide bore drip tip. I know many vapers love using their own 510 drip tips, so it’s definitely a huge pro that this tank is compatible. In addition, the Uwell SE-1 tank has huge bottom airflow, which is fully adjustable. The airflow control does click into place, which is another pro to this tank. This tank definitely has more airflow than the Uwell Crown 2, similar to that of the Rafale tank. I do want to mention that this tank came free of machine oil, which is a huge pro. One rinse with warm water, and this tank was good to go! I do hate when atomizers come soaked in machine oil, as it can take quite some time before coming off completely. Also, taking this tank apart was easy. All in all, my first impressions of this sub ohm tank were positive. The Uwell SE-1 takes the best of both previous tanks, and brings it into one tank, giving you something even better. The biggest question for this sub ohm tank is how does it perform? I can easily say it performs excellent! 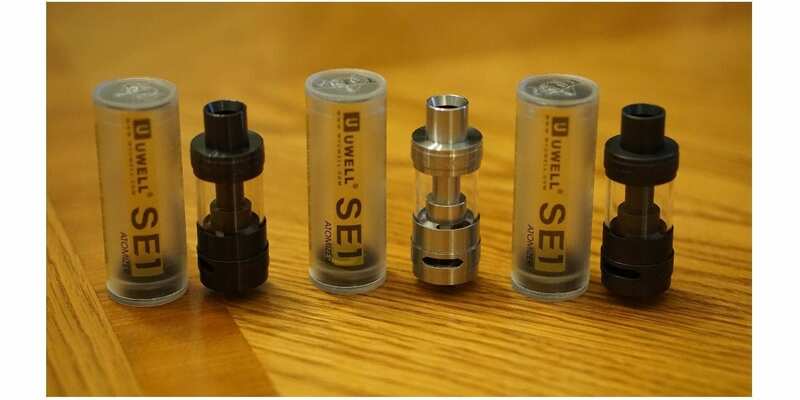 Like mentioned previously, the Uwell SE-1 utilizes the new Crown 2 coil heads, and these coil heads are excellent. However, before getting any further, I do want to mention that there was about a half a tank or so break in time for the pre-installed 0.25 ohm coil head. This can be considered a con, but that is about average, as many coil heads do require some sort of break in time. Onto the coil heads, there are various coil heads available for this tank which are the 0.25 ohm, the 0.5 ohm and the 0.8 ohm. Both the 0.25 ohm and 0.5 ohm coil heads are composed of SUS316, so you can vape them in temperature control mode or wattage mode! The 0.8 ohm coil head is composed of Kanthal wire, so you can only vape these coils in wattage mode. The pre-installed 0.25 ohm coil performed excellently! I did prefer to vape this coil head in standard wattage mode rather than temperature control mode, as this is just a preference. However, in TC mode this coil head performed great too. I literally had zero issues with this coil head, and I can say with confidence that these new Crown 2 coils are solid. So if you had any issues in the past with the Crown 2 coils, I wouldn’t worry about these newer versions. My preferred wattage for the 0.25 ohm coil head was between 60w and 80w. At this wattage, I got incredible flavor and vapor production. This tank can certainly provide large amounts of vapor with ease, and I was actually surprised by the vapor production. At 80w, I got a nice and satisfying vape experience. In addition, at this wattage the vape is warmer, which is something I do prefer. The Uwell SE-1 has tons of available airflow, so if you like a fairly airy draw, then you’ll love this tank wide open. However, I personally like a bit of restriction so I preferred to close off the airflow about one third or half way. With the airflow closed off a bit, I got a bit more of a warmer vape, and the slight restriction I was after. In addition, the flavor was just a touch better as well with the airflow closed off a bit. I do want to say that the airflow is nice and smooth regardless if wide open or closed off. Something worth mentioning is that with the pre-installed coil head, I went through at least 80ml of e-liquid and the coil head was still performing great. The flavor was still spot on, and there was no sign of any dry hits or burning taste. I was certainly impressed by the longevity of these coil heads. With the airflow wide open, you still get excellent flavor, but you get a bit more vapor production in comparison to cutting off the airflow. The included 510 drip tip was extremely comfortable to use and it never got hot. I had no desire to change the drip tip, but it’s still great that you’re able to change it out to one that you prefer! The other coil heads that are available for the Uwell SE-1 also perform well. However, I much preferred the 0.25 ohm coil head as it just fits my vaping style much better. If you like to vape at lower wattages then the 0.8 ohm coil or 0.5 ohm coil would suit you much better. Both of these coil heads product excellent flavor and vapor production. The 0.25 ohm coil head did product the most vapor though in comparison to the other too. I would say the flavor difference isn’t really noticeable between the three, as they all provided top notch flavor. If you do like to conserve e-liquid, I would say your best bet is the 0.8 ohm coil head since it is a higher resistance and doesn’t take much wattage to get a satisfying vape experience. If you’re looking for something in between, then the 0.5 ohm coil head would suit you best. The Uwell SE-1 Sub Ohm Tank does have a 5ml e-liquid capacity, and while vaping at higher wattages you can easily go through this tank quickly. When chain vaping, a full tank would last me between one and two hours. However, when vaping conservatively I can have a full tank last me about four hours or so. Filling this tank is incredibly easy. It doesn’t take much effort to get the top fill section open, and there’s not too many turns before getting it open either. There is an o-ring there, so make sure not to lose it. I had zero issues with the top fill, which goes back to the exclusion of the tank locking screw. Like mentioned previously, this tank does not need it, as I never once had an issue with the tank unscrewing completely when unscrewing the top fill section. Overall, the performance of the Uwell SE-1 was stellar. The coil heads had fantastic performance and every time I took a vape, it was satisfying. In conclusion, the Uwell SE-1 is a solid performing sub ohm tank! 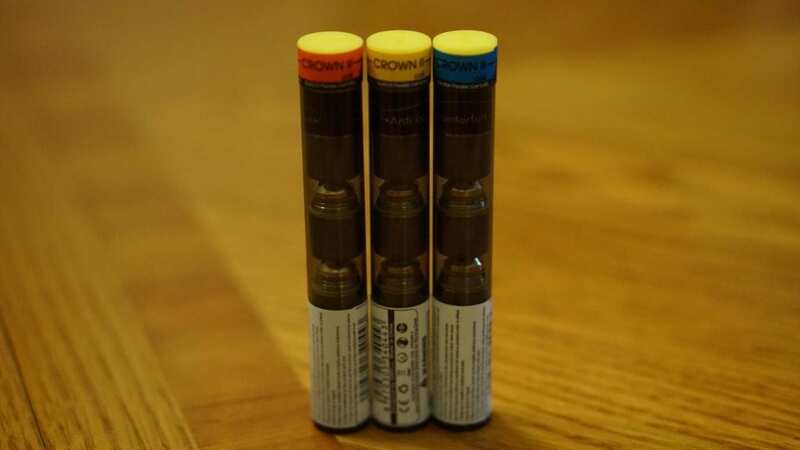 The new Crown 2 coil heads had excellent performance, and I never had one issue with any of them. This tank has tons of available airflow, and the flavor is just incredible even with the airflow wide open. 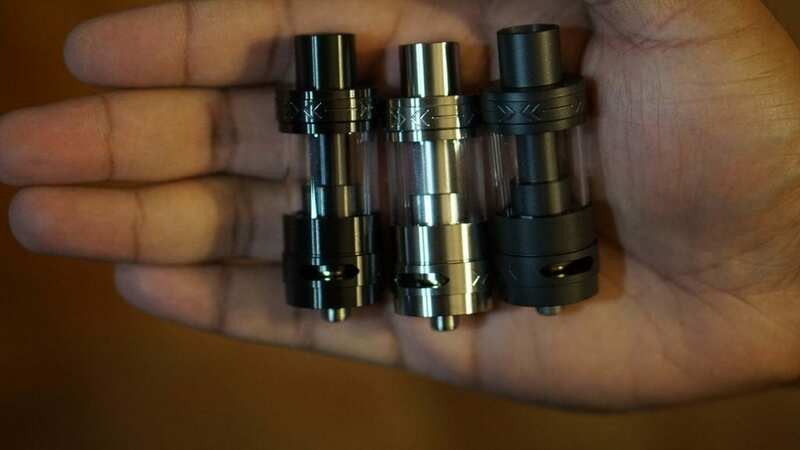 There are slight cons to this tank such as the inclusion of only one coil head, but I’m assuming there is only one coil head to reduce the price of this tank. For under $20, this tank is a no brainer. Honestly, I could not find any real cons to this tank while using it as it just performed great every time I used it. The pre-installed 0.25 ohm coil head lasted me at least three weeks of solid use, and I almost went through an entire 120ml bottle with it. The top fill design is great, and makes filling this tank easy. In addition, this tank was just dependable, and I knew if I were to take it out with me, I know I wouldn’t have any issues. Whether you are looking for vapor production or flavor, the Uwell SE-1 has got you covered! So if you’re looking for a new sub ohm tank with excellent performance, then I highly recommend the Uwell SE-1! Purchase Directly from Uwell Here! Purchase from USA Here! It’s basically a cheaper version of the Crown II which is a superb tank , Takes the Crown II coils but it’s biggest pro is it’s a lot cheaper than the Crown II. The Crown II has more airflow than anybody could ask for so thats not a benefit to me. I am very surprised the D1 tank hasn’t been reviewed on here . Thats the smoothest tank on the market by far , many think it’s too smooth lol. Thanks for your comment! I’ll definitely take a look at the D1, thanks for the recommendation! Got the SE-1 a week before Christmas. loving everything about this tank. I upgraded to this tank from the Crown one tank ( used that tank for over a year). I was able to get about 5 weeks outta the pre-installed coil. I run in wattage mode at 65 watts. The only con i have is they do not supply you with a replacement glass. Other than that, its a great tank for an awesome price. Definitely agree with you there. It’s a great tank for the money, and the coils last a really long time. Thanks for your comment!